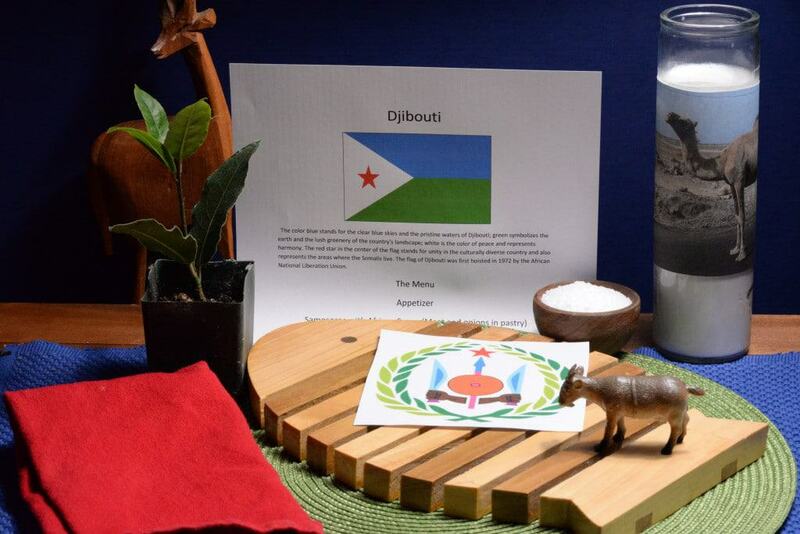 Djibouti pronounced (Ji-boot-ee) is the third smallest country on the African continent behind Gambia and Swaziland. She is located on the east coast of the Horn of Africa. Her neighbors are Eritrea to the north, Somalia to the south, Ethiopia to the west and Yemen is located across the strait of Bab el Mandeb, just to the east. The strait is known as the “Gate of Tears” due to the tricky navigational skills required to get across it. This strategic location separates the Red Sea from the Gulf of Aden and is an important trans-shipment location for goods entering and exiting the east African highlands. Djibouti was formerly known as French Somaliland from 1896 until 1967, when it then became the French territory of the Afars and Issas, from 1967-1977. These two ethnic groups make up the majority of the population of Djibouti today. She became independent from France on June 27, 1977 which is celebrated each year as National Day. The official languages are French and Arabic, although Afar and Somali are more commonly spoken. The climate is very dry with prolonged spells of scorching heat. They mainly have just two seasons, hot and hotter. May to September is the hottest season with daytime temperatures between 100 and 120 degrees F. Due to the weather and lack of precipitation, (receiving only a meager 5 inches per year), they really don’t grow much, so they always have a large trade deficit. They import nearly all of their food other than live animals. Even though the country sits of the strait, Djiboutians are not known as a seafaring people, but rather are descendants from nomadic and pastoral traditions. Goat and camel herds are prevalent in the interior of the country. Due to Djibouti’s proximity to the Arabian Peninsula, it is believed that the region’s Somali and Afar tribes became the first Africans to adopt Islam. The country is an Islamic state and 94 percent are Muslim. The other six percent are Christians. Djiboutians are known to be tolerant toward other religions and social customs. The capital city, Djibouti, bears the same name as the country itself and is where the majority of the population lives. The city was built on coral reefs and has views of the sea from much of the city. Djibouti does have a few islands off the coast which are known for their excellent diving and snorkeling areas. The region is also known for its unique environment for studying volcanic, geothermal and earthquake activity. It sits over a zone where three tectonic plates converge. The area is very seismically active, with nearly 600 tremors per year. However, only a small percentage, if any, are felt. Djibouti is also home to the lowest depression in Africa and the third lowest in the world. Lake Assal sits at 512 feet below sea level. The lake is ten times saltier than the ocean and is said to be an ethereal blue surrounded by picturesque volcanic hills. The salt has been mined for trading and export. A bit farther into the countryside lies another lake on the border with Ethiopia. Lake Abbe is in the center of the Afar Depression and is a UNESCO world heritage site. It is the location where the hominid skeleton named Lucy was found, even though Ethiopia gets credit for the land from which she was unearthed. This was a major discovery in the science of human origin. The skeleton has been dated back to 3.5 million years ago. Since the terrorist attack that occurred in the United States on September 11, 2001, Djibouti has allowed the United States to maintain a military base there as part of the War on Terror campaign. The United States pays the government $38 million per year to utilize the base for drone operations. The French also maintain a base there, which was part of the agreement for Djibouti’s independence. Djibouti is an important link and trade hub especially for landlocked Ethiopia. Aside from the international port facilities, another important source of revenue is the Addis-Ababa Railway. The railway was recently upgraded and is jointly owned by Ethiopia and Djibouti. This railway system is what delivers the daily supply of the mild stimulant called khat (or qat). Although many countries have banned khat as an illegal drug, Djibouti’s government continues to support the trade. The khat trade employs a tenth of the population and contributes a windfall to the government in taxes. Nearly all the men in Djibouti chew khat on a daily basis and it is considered an important part of the culture there. It creates a slight euphoria, suppresses appetite and increases concentration. Despite all this their unemployment rate is over fifty percent, which is often times blamed on this widespread khat use. Djiboutians love soccer and also a game called Pétanque, which is somewhat similar to bocce ball. At night you will find them playing under the street lights, all over the city. Running is also a popular trend and some great marathoners have come from the region. The cuisine of Djibouti is influenced by her neighbors and of course France. Middle Eastern spices ranging from saffron to cinnamon are commonly used and they like their dishes spicy. Djiboutians often eat three meals a day with the midday meal, called qado, being the largest. Schools and work places are often closed for a couple of hours in the afternoon when the sun is the most intense. Stews with meats from camel, goat and sheep are served with a flat spongy-like bread, called canjeero. Rice, lentils and pastas are also common dishes, served with a hot berbere sauce or a buttery one, called niter kibbeh. The main celebrations are centered on religious holidays of the Muslim faith. Often whole animals are slaughtered for these special occasions. The feasts are typically “halal”, basically meaning that pork is forbidden and animals must be slaughtered by a Muslim in a certain way, while giving thanks to Allah. The first course was our appetizer, called samosa. 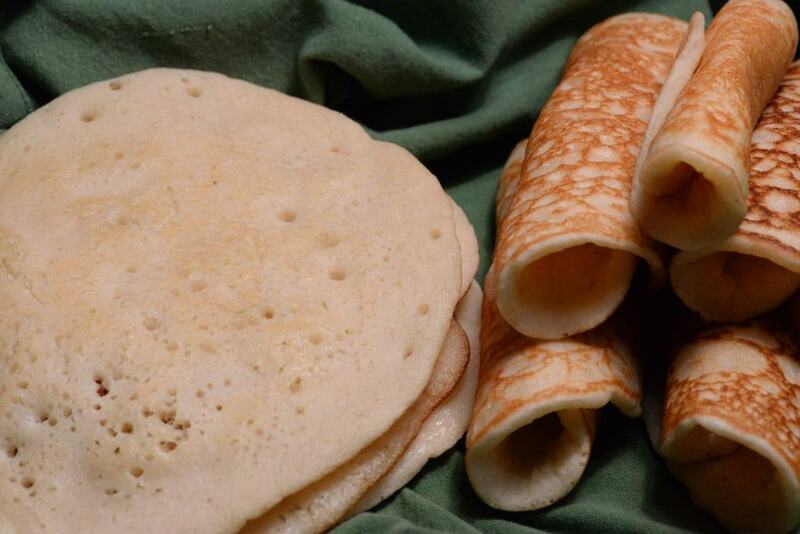 This is typically a street food and many other countries have a similar version. 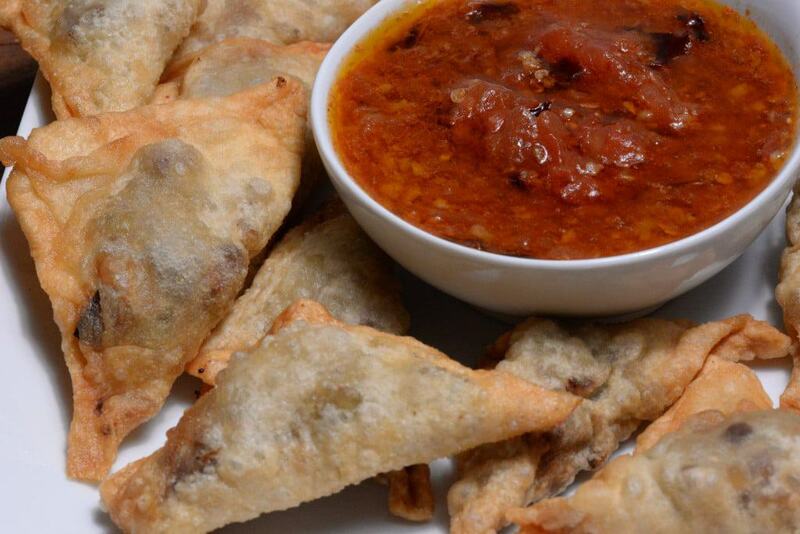 Our little fried pastries were made with meat and onions and dipped in a pepper sauce. They were superb. Next was the main course called fah-fah. I was actually given a piece of goat meat as a gift from one of my neighbors to use for this occasion. The spicy stew was fantastic and if you have never had the opportunity to try goat, you should (assuming you are not a vegetarian.) It really is a delicious meat. I have another story about the best taco I ever ate that happened to be goat, but I will save that one for another time. The stew was served with canjeero, a very interesting flat bread that has a unique, spongy texture. It works well to sop up that scrumptious stew sauce but would actually be just as lovely with a little butter, honey or jam. It was yummy! For dessert we enjoyed some banana fritters. 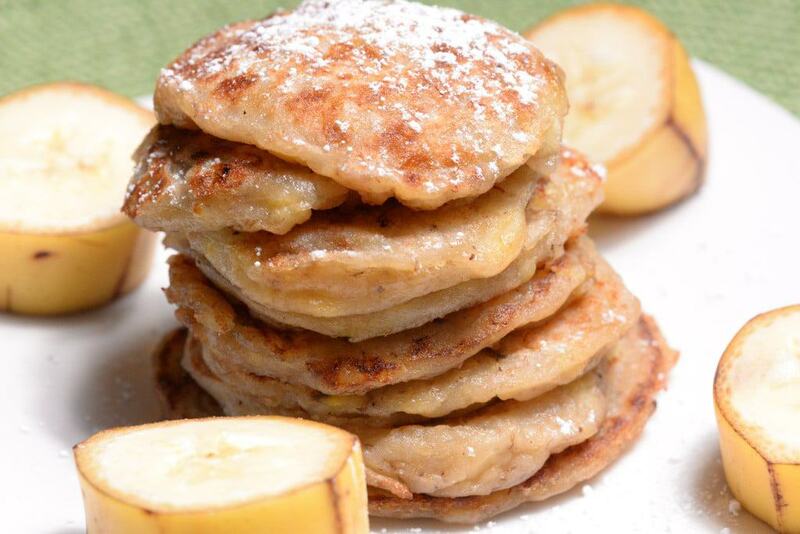 Perhaps it seems I have been using a lot of bananas lately but hey, I love them and they did not disappoint; served warm and dusted with a bit of powdered sugar. We’re going to do every item on the Djibouti menu. They all look great. Our neighbors raise goats, you know, so opportunity knocks and we doubt they’ll miss the short, smiling, spotted one. They have a lot of spotted ones. Thanks Dawn, I updated your email! Hello Darlene, I am very glad to find your sites here. I was just looking for some Afar recipe and I found your wonderful page. Could you please advice me which of your Djiboutan recipes is useful as Afar dish? To be honest, I am not positive. Recipes are tricky sometimes determining origin. Having said that, I recall in my research that the Afar tribe was part of Djibouti, Eritrea and Ethiopia and that they are herders mainly of goat, sheep and cattle. 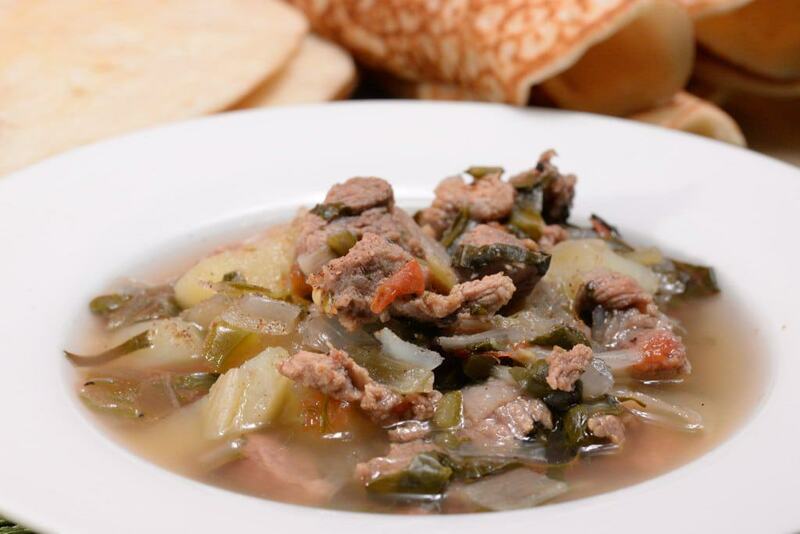 If I had to choose a recipe I would make the fah-fah (Goat soup) It was delicious and if goat is not available you could use lamb or beef and still be authentic. Can you let me know how you found my site? Also, I would be interested to know the nature of your project. Good luck and if you decide to make it let me know how it turns out and be sure to join the journey! Thank you for fast reply. I will probably try the Fah-fah soup than. That is true that cuisines of the nationalities and tribes living in neighborhood are usually very similar, so the Afars surely know Fah-fah. The goat meat might be problem to find in my country (I am from the Czech Republic), but I can get beef or maybe sometimes the lamb. Few months ago I decided to make similar cooking journey like you do (without knowing you and your sites). But I am not a professional cook, just home housewife who loves cooking and making experiments in the kitchen and in the same time interested in cultures, languages and other things related to diferent etnicities. So it leaded me to this decision. That means it is not a real official project, it is my own personal hobby and goal – to make at least one traditional food of each possible etnicity in the World – what ever, a soup, a main dish, a cake…but one of each. My main source is the Internet, so when I was looking for Afar recipe, I just googled. I took me some time, but than one of the links were to your site. So, surely I will sometimes meet you on the journey – that might be helpful for me. And maybe even I can pass you some recipe I already have tried.